So it all comes down to just 90 minutes of football. The whole season will be decided not only by events at The Dripping Pan, but also at Grosvenor Vale, HA7 and Ram Meadow, Bury St Edmunds. Despite the excellent form of the Rooks over the past two months with 23 points from a possible 33 and topping the current form charts, those pesky Stones from the place on the Weald simply kept on winning as well, and despite their ridiculous back log of fixtures caused by their FA Trophy run (again the league punish the teams who represent their league better than anyone else), they simply kept on winning, finally breaking into the play off places with a win at Margate on Tuesday night. Bury Town on the other hand had hit a patch of poor form at the wrong time, losing points here, there and everywhere. But as they faced rudderless Tooting and Mitcham it was hard to see how they could get anything but three points. 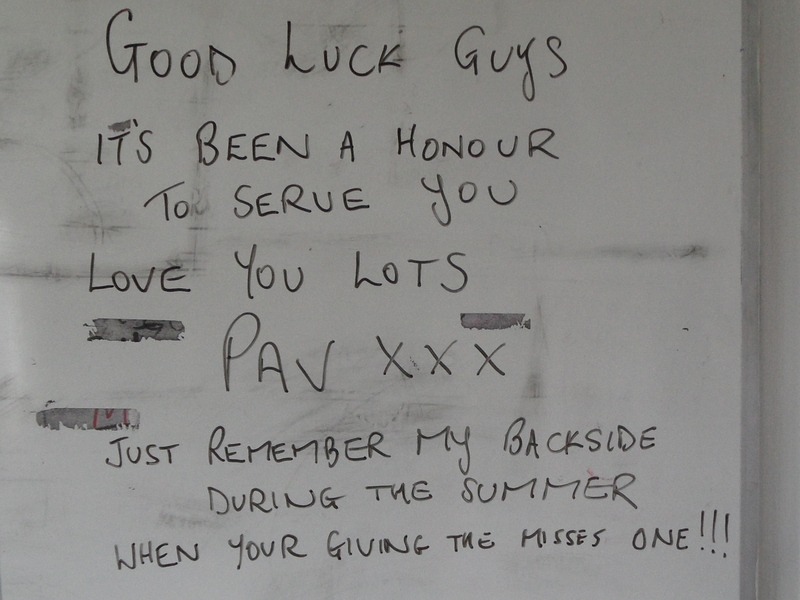 In the twenty four hours before the game the good luck messages started streaming into the club. “Good luck, fellas. Win or lose, play-offs or not, it’s been a terrific season. But stay off the pies and Harveys until full-time.” “Good luck and whatever happens thanks for a memorable season and hopefully both the players and management remain for next year.” “Come on you lovely lot, we’re right behind you! Possibly eating chips & drinking beer, but supporting you all the way. COYR!” “from a new found supporter and now owner, all of Rome is behind you! Good luck and do what you do best, win Ciao, a presto!” Even the rain that had blighted Southern England could not dampen the spirit of the fans. The pies were ready, the beer had been poured. Our bumper end of season programme was selling like hot cakes (have a look for yourselves here) and our club shop had been decimated like a pack of locusts by the fans wanting their Rooks merchandise. After a week of remarkable football scores in the Champions League that had seriously upset the odds, was there going to be one final twist that would cause shock waves across the Ryman League? Only time would tell. That and constant refreshing of Non League Live. 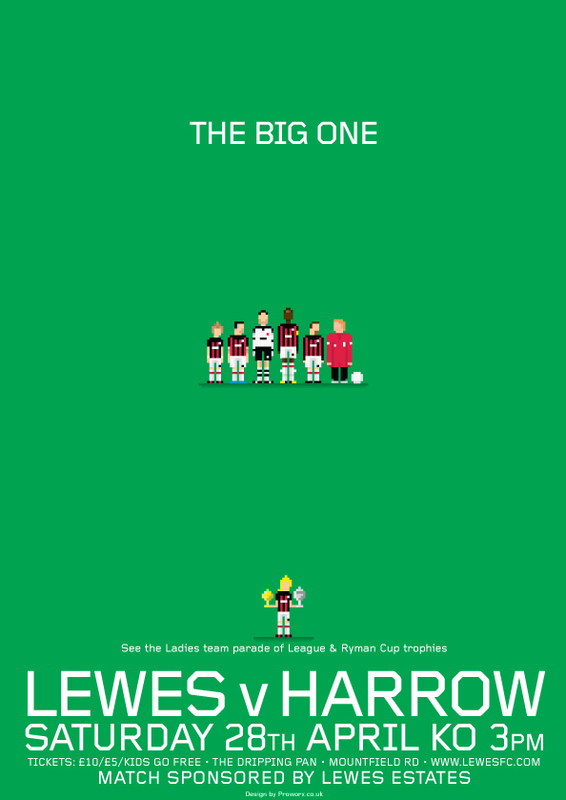 Lewes 4 Harrow Borough 2 – The Dripping Pan – Saturday 28th April 2012 The rain fell, the pies were all eaten, the programmes were all snapped up. 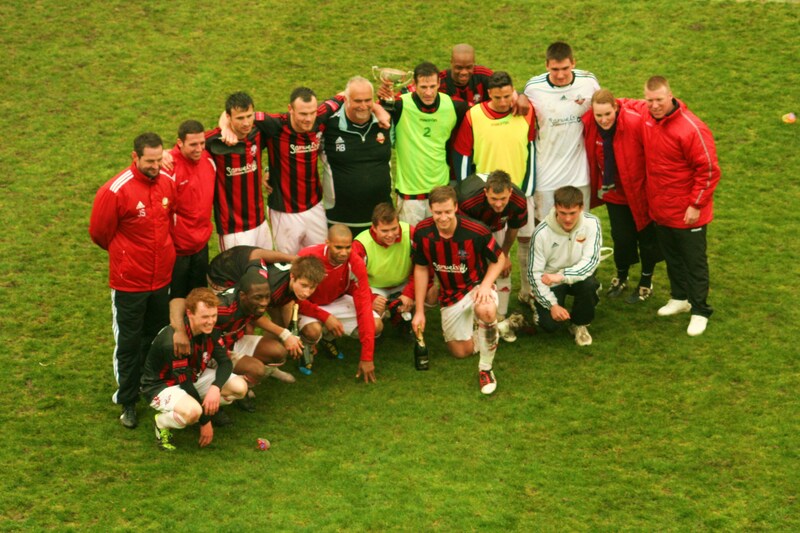 Over 1,000 fans braved the elements to cheer on Simon Wormull’s team as they made light work of Harrow Borough. If results elsewhere had gone our way then it would have been the perfect afternoon. But they didn’t. However, not one fan, player or club official could have a bad word or a “what if” after the last few weeks. Five wins out of the final six is title winning form, and whilst we will look on this week whilst the play offs start, Worms will commence the task of building a squad to take that form into next season. This had been a season of mixed emotion that at one point looked as if it would go off the rails. And whilst in the end our league position could have been 6th or 16th, everyone came away with a smile on their faces as we saw a bunch of players put the pride back into the badge. In addition we had a fantastic Youth Team as well as the record breaking Ladies Team who will next season be doing battle with the likes of West Ham United and Tottenham Hotspur, just one level below the elite of English football. So all we needed was a win plus Tooting or Concord to win. And after 10 minutes it couldn’t have gone any worse. Harrow Borough, despite having a player sans shorts as the elastic broke in true Are You Being Served style, went ahead after just 97 seconds whilst most of us were still at the bar. Jon-Jo Bates put the visitors ahead, and a few minutes later we heard that Wealdstone had gone ahead, and then so did Bury Town (and for good measure so did Hendon and Canvey Island – other teams who could finish above Lewes. We were fighting for 4th place but could finish in 8th. That wasn’t in the plan. But then things started to look up. Twenty five minutes gone and another Lewes corner is floated in. Paul Booth reacts the quickest and shows that despite his years he still hasn’t lost it and its 1-1. Five minutes later and another header from a set piece, this time from Chris Breach, put the Rooks ahead. 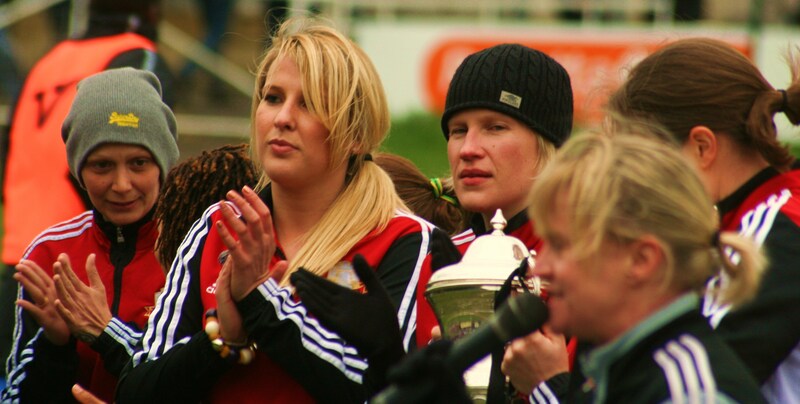 To celebrate, Lolly arrived with the pies, and Concord arrived with an equaliser at Wealdstone. Lewes were now one Concord goal, or Twenty nine Lewes ones away from a play off spot. At half time the scores elsewhere basically saw an end to our play off hopes. Bury Town were 4-1 at hapless Tooting, and Concord were hanging on at Wealdstone. But that meant we needed to restock with some Harveys. The final 45 minute push started and soon Lewes were 3-1 up when Nathan Crabb kept up his remarkable record of scoring in the opening five minutes of another half. 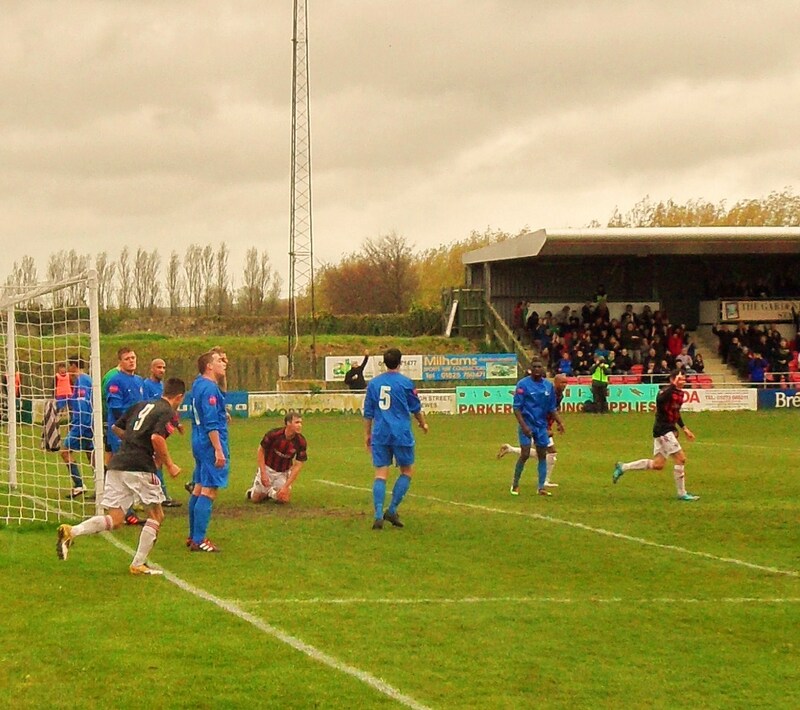 Three became four when Paul Booth was brought down by the keeper and he converted the spot kick. For the first time this season the Rooks looked totally rampant. Unfortunately, so too were Bury Town, Hendon and Canvey Island as they were winning 7-1, 7-1 and 5-0 respectively. Oh and Wealdstone had scored a third. Time for plan B then. Harvey’s and lots of it. Harrow scored a consolation, although for once it wasn’t in injury time and at the final whistle everyone to a man stood and applauded the team. So there we are. Another season has come to an end. Football is not life or death and despite what a certain Mr Shankly once said, it is not more important than that. But being in a place, surrounded by family and friends, enjoying the banter, the food and the drink – well that is more important than football. My first as a Director of a football club, one where I had been subject to terrace taunts early in my tenure, but ended with members buying me beer. Not a bad old life really.